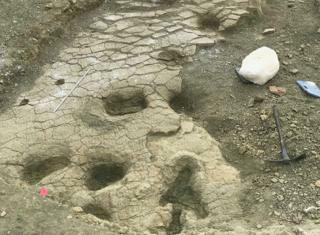 They are joining US and Dutch institutions in exploring what is expected to be a treasure trove of fossils in the "Badlands" of Wyoming. "It's an incredible site, mind-blowing," said Prof Phil Manning. 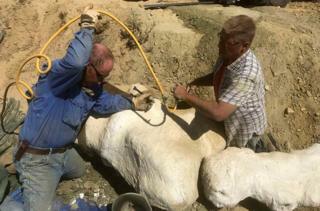 "In the UK, we rarely see anything like this - whole dinosaurs coming out of the ground. But that's what we've got here," the University of Manchester palaeontologist told BBC News. "And the funding we have in place permits us to open up football pitch-sized areas at a time, if need be." Media captionDr Maidment and Prof Barrett: "New animals that no-one's ever seen before"
The partners on the project are The Children's Museum of Indianapolis; the Naturalis Biodiversity Center in Leiden, Netherlands; and London's Natural History Museum. Prof Manning and Manchester colleague Dr Victoria Egerton are Extraordinary Scientists in Residence at the Children's Museum and will act as lead researchers, but such is the scale of this endeavour that a team of more than 100 experts will be required. The project has been dubbed "Mission Jurassic" - a reference to the major geological period in which the rocks to be studied were laid down. "These were deposited from about 157 million to 145 million years ago," explained the NHM's Dr Susannah Maidment. 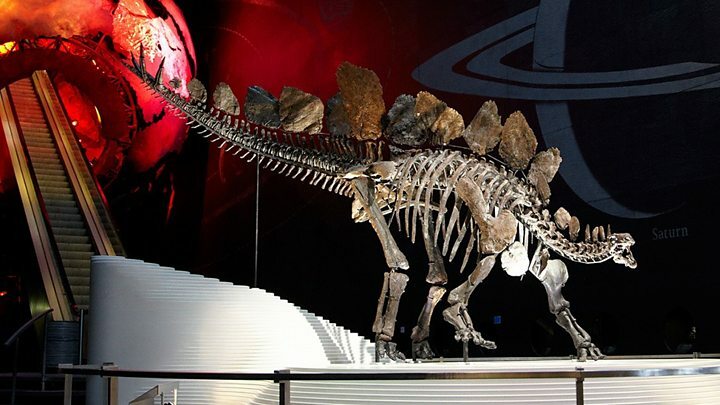 "The formation has been extensively studied to the south, producing all of your favourite dinosaurs that you could name when you were seven - the likes of Stegosaurus, Brachiosaurus, Brontosaurus and Allosaurus. But we'll be in the north, which has been much less studied, and which it's suggested might hold slightly different creatures. "So we're hoping to find animals that have never been seen before." 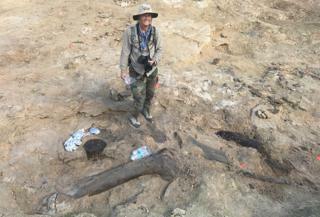 Several tonnes of bones were recovered, including fossils from two giant sauropod dinosaurs - a 24m-long Brachiosaurus and a 30m-long Diplodocus. 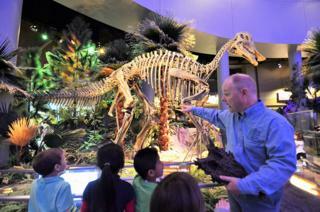 "So, this is not just about dinosaurs," said the NHM's Prof Paul Barrett. "Obviously, they're the charismatic creatures, but we're also interested in everything that's living alongside the dinosaurs, to build up a complete picture of that ecosystem. Things like ancient crocodiles, lizards, turtles, fish, clams, plants - we'll be taking specialists with us so we can delve deeply into that picture." The institution - as the UK's premier fossil display centre - hopes many of the specimens that are discovered can be brought to London. Although the NHM has an extraordinary collection of fossils, it concedes that its North American compilation could be stronger. One excellent opportunity the project will afford is educational - both for UK PhD students, who will be able to work in the field; but also for the public. There are plans to livestream events around the digs so that people can get a first-hand insight of what it's like to discover fossils that are totally new to science. Anyone wishing to follow the project should keep an eye on the Dinosaur Hub on the Natural History Museum's website. Progress will also be signal on social media with the hashtag #MissionJurassic.